From fast food restaurants to pharmacies, these are the most recommended store rewards programs around. Score freebies, coupons, and other perks! These days, it seems like every business has a customer rewards program. But which loyalty cards are actually worth keeping in your wallet, and which apps should you never delete from your phone? We've compiled a list of all the best rewards programs for you to take advantage of. Even the best rewards program is only as valuable as you make it. A lot of stores offer amazing customer rewards and birthday freebies. That being said, not all the store rewards programs are worth your time or cash. If they're for a store you frequent — whether that's every day, week, or month — these programs can be well worth looking into. Still, we recommend reading the fine print before you sign up. True, that's easier said than done when you have a cashier pushing you to add yet another card to your keychain, but it's worth learning what the customer rewards program is about before you join. Make sure the customer rewards are actually attainable, too. If a store has super cheap merchandise but is stingy with their point payouts, you could end up spending more than you normally would just to reach that next rewards threshold, or membership tier. And when you've earned your customer rewards, use them (wisely). So, without further ado, here are the 53 best rewards programs! Are there any you think we should add to the list? 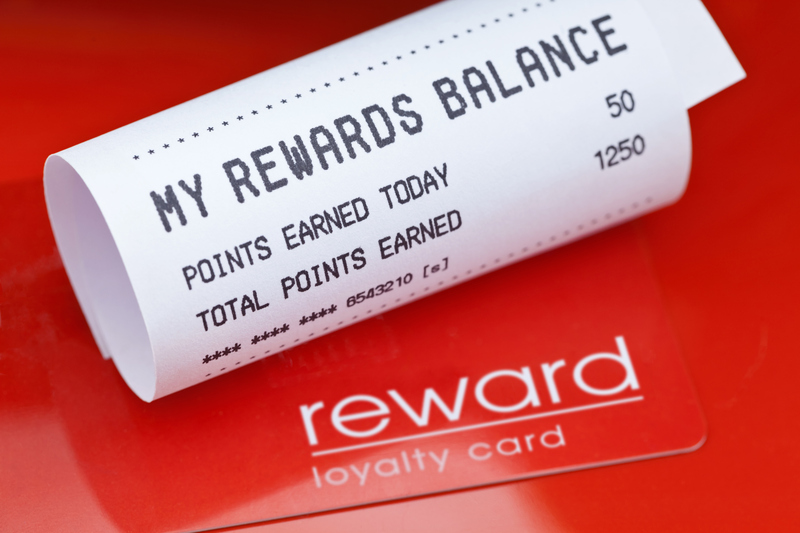 Readers, what are the best rewards programs you know about? Share your favorites in the comments below. Outback Steakhouse has a pretty good reward card if you are a regular diner at Outback, Carrabbas, or Bonefish Grill and other Bloomin Brands restaurants. You get a $20 off discount every 4th visit if you spend $40. Plus you can use AARP card and get 10% off every meal except when you're redeeming a reward. My one issue with your list is there are important program nuances that can make a huge difference of how good a rewards program is. For example, I notice you don't have Best Buys. While I get it doesn't have the strongest rewards value per $1 spent, you can use those rewards with essentially anything meaning if you have other coupons and price matches. Whereas Khols may seem like a higher percentage, but they apply it to your merchandise before any other discounts meaning that if you have a 30% off coupon, you don't get the 30% off of what the $5 covers. You missed the Regal/UA Cinema's rewards program, even though competitors AMC and Cinemark were included. The Cinemark one isn't really a rewards program, it's a subscription service (with very limited benefits). The Regal program gives you 100 points for every dollar spent on tickets or concession snacks. You move up in "gem" levels the more frequently you go to the theater (buy a ticket, only the first one per day counts) per year. When you reach the top "Diamond" level at 20 visits in a year, you'll get 1000 bonus points when you buy a ticket (once per day only). There are also frequent promotions where you get 500-1000 bonus points for seeing a particular movie there on the first weekend, or a series of movies from the same studio. You can cash in points for tickets (18000 points) or popcorn, etc. You can even upgrade a free small popcorn to med (+$1) or large (+$2). So it's a pretty "rewarding" and flexible program. We strive to keep our comments section spam-free, but we encourage our users to share great deals with each other. We're all here to save money, after all! Looks like someone is getting paid to post advertisements in comment sections. If you join at their $100 membership level and use their Sam's Mastercard there are a number of perks that make their's a nice rewards program. With their 5% back on gas - which is usually some of the least expensive gas per gallon anyway, 3% on restaurants, and 1% on everything else? I usually get twice my membership cost back annually in a check from Sam's for buying stuff at bulk discount and saving money that way too. Plus you get $10 back for every $500 you spend on top of whatever the Sam's Mastercard offers. Throw in free shipping, periodic bonuses (like their most recent spend $30 get $10 at Sams.com), and their fantastic, no waiting in check out Scan & Go app - makes their rewards deal and shopping at Sam's even sweeter. I would consider Amazon sort-of a rewards program. Their prime credit card offers 5% on all amazon purchases which is quite a bit better than any other card (except really specific categories). It also helps clarify just how much you are spending there. The Kohls card is also good under certain circumstances as it can sometimes unlock extra % off at times that might not be available with current coupons. As long as you don't mind sharing all of your information. Creepy to get e-mails that say "you bought this before, don't you want to buy it again?" Eddie Bauer also has a very good rewards program. They send a number of $10 reward certificates that stack with sale prices throughout the year.